In the midst of the longest US government shutdown in history, members of Congress have found a rare area of bipartisan cooperation: women's economic empowerment. 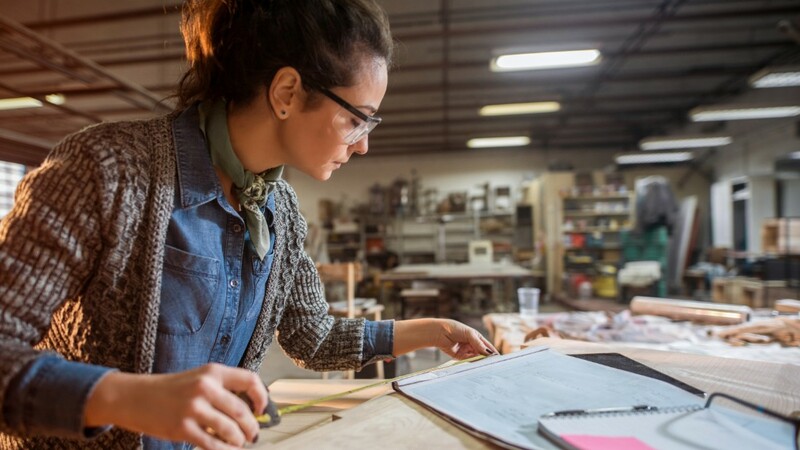 Last week, President Trump signed into law the Women's Entrepreneurship and Economic Empowerment (WEEE) Act, a law that strengthens US efforts to promote opportunity for female entrepreneurs worldwide. At a time when bipartisanship is elusive, elected officials on both sides of the aisle agree on one thing: Women's economic participation is a worthwhile investment. Why the common ground? Even in an era of political polarization, it's hard to ignore dollar signs: Women's labor force participation is an economic imperative. According to the McKinsey Global Institute, closing the gender gap in the workforce could add $28 trillion to the global GDP — nearly the size of the US and Chinese economies combined. Our recent analysis at the Council on Foreign Relations confirms that advanced and developing countries alike stand to benefit if women participate in the labor force at the same rate as men, work the same number of hours as men and are employed at the same levels as men: By 2025, the US economy would grow by 19%, China's by 20%, Mexico's by 43%, and India's by a staggering 60%. The realized financial benefits of women's economic participation spurred not only enactment of the bipartisan WEEE Act here in the United States, but also rising investment in female entrepreneurship globally. In 2017, the World Bank launched the Women Entrepreneurs Finance Initiative (We-Fi), the largest fund ever raised to support women's access to capital, with more than $350 million mobilized to date. Last year, G-7 nations made a commitment to raise $3 billion to invest in female entrepreneurs and business leaders. The private sector has also recognized how women's economic participation can improve their bottom line, with companies from Walmart to Coca-Cola to Intel deploying strategies to source from women-owned businesses. But to realize a robust return on these investments, female entrepreneurs need more than access to capital. After all, businesswomen will only get so far in an economy in which employers and lenders are free to harass and discriminate, and under family laws that constrain women's freedom of movement. Today, most countries still have discriminatory laws and policies on the books that make it harder for women to work. According to the new Women's Workplace Equality Index from the Council on Foreign Relations, legal inequality persists for women worldwide: Over 100 countries restrict the kinds of jobs women can have, 75 countries limit women's property rights, and 18 countries require women to have their husband's permission to work outside the home. Women face restrictions in getting passports and national ID cards, making it more difficult for them to open a bank account, obtain employment and travel freely. And a year after the #MeToo movement drew global attention to the pervasiveness of sexual misconduct and assault, 59 countries still lack any legal protection against sexual harassment in the workplace whatsoever. As officials at USAID, the State Department and other US agencies implement the WEEE Act, they should recognize that unlocking growth from women's economic empowerment requires more than seed funding. Doing so demands attention to the legal, structural and cultural barriers that continue to constrain not only individual women, but entire economies. Leveling the legal playing field for women in the workplace is not only the right thing to do — it is also the smart thing to do: When women are finally able to fulfill their economic potential, all of us stand to gain.